You are currently browsing the Collector Model blog archives for May, 2016. It has been a while since we’ve talked about upcoming sci-fi releases. I’ll spill the beans on a few things, but focus on what we have in the works for our 1:350 scale kits that should arrive later this year to commemorate the 50th anniversary of STAR TREK: The Original Series. Part of the fun of fandom is holding the great debates… DC or Marvel…? Star Wars or Star Trek…? Chicken or egg…? 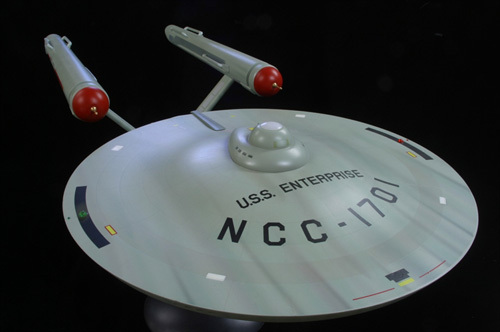 When developing our 1:350 TOS Enterprise kit, it was “engraved panel lines or no engraved panel lines…?” In order to serve what we considered to be the widest range of modelers, we opted to engrave the panel lines on the upper and lower saucer. We did so knowing that it might upset some, but would satisfy others that didn’t have the skill or tools to install them in pencil like the filming miniature had. 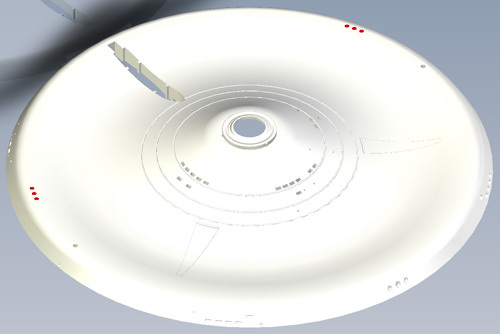 We have decided it is time to reverse course and offer the saucer without the panel lines. We will be releasing the saucer as an accessory piece so everyone that already has untouched kits can supplement them with these replacements and save the time and effort from filling and sanding them. Along with that change, we have corrected the position of two sets of windows that were off by a few degrees, but got by us. 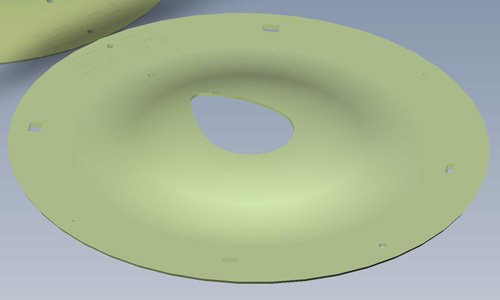 The “toothy” surface texture will also be removed so the saucer should now be as smooth as a baby’s bottom. Some may say “Well, if you are doing that, you may as well include them in the kit that way now.” To which we say “Yes, indeed.” And while we are at it, we will be updating the color reference to reflect new-found information gleaned by the team of experts that are restoring the Enterprise filming miniature. 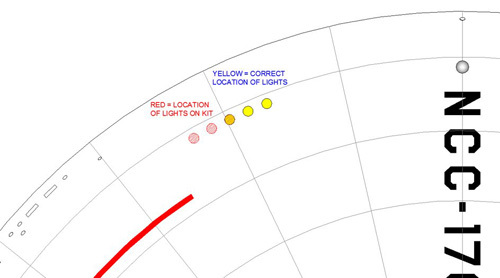 Our go-to Star Trek guy, Gary Kerr, has played a key role in the restoration and is dutifully documenting the untouched/unseen areas of the miniature to determine the exact paint colors that were used. We’ll finish off the offering with an updated 50th anniversary scheme on the packaging. We plan on giving the Pilot parts accessory pack the same treatment and everything should be out by the end of the year. 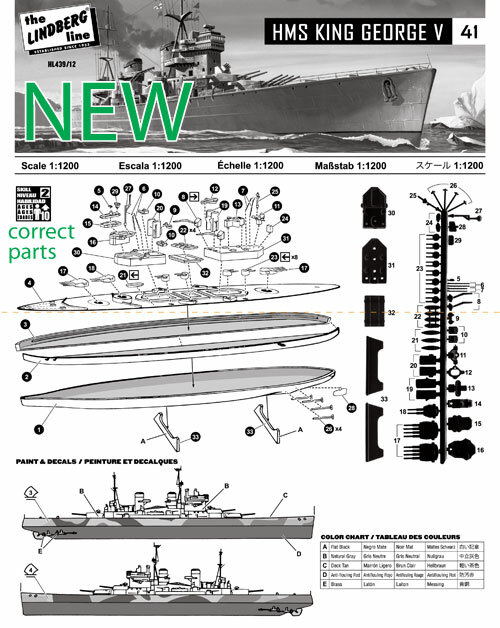 Additionally, we’ve heard the demand for more light kits and a new batch is on a boat as I write this. Expect them on store shelves within a month. 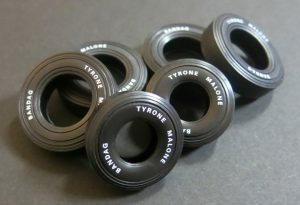 If you have been on the lookout for a set, let your retailer know you want a copy (item number is MKA007). There is a slim chance that we may have a test shot of the saucer on display at Wonderfest. We should have a preliminary look at the 50th anniversary packaging at the show as well. As usual, we look forward to seeing everyone at the show. It is a personal highlight of mine every year to get a chance to meet the builders that enjoy our products so well. We will once again be sponsoring two prizes in the model competition. We will present awards for what we deem to be the best use of a Round 2 model (any brand or subject) in the junior/teen and adult categories. The junior/teen winner gets a selection of kits from all of our brands. The adult winner will receive a gift certificate to autoworldstore.com which despite the name does deal in sci-fi kits as well. Good luck to all who enter. see you at the show! 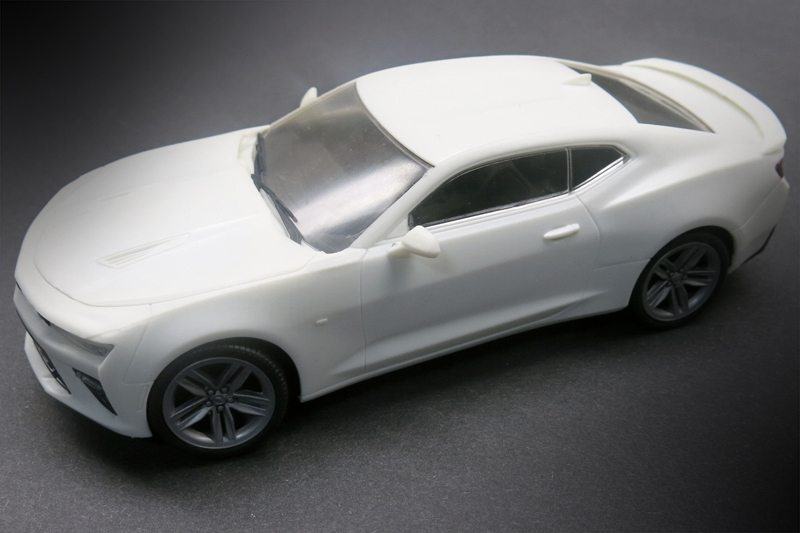 It’s taken a while between the first set of test shots I posted to getting an improved second set as there were various injection issues, but Round 2’s offices finally received full second set of test shots of both the glue and snap versions of our upcoming 2016 Camaro SS. We’ve done some quick test builds to check fit and to look for other issues and we’ve given the factory further comments to improve the tooling. We’re getting close but for now, here’s a couple of images of the full glue kit. It’s generally not a good idea from a business standpoint to divulge what we do, or do not have the tooling for, with respect to kits that did once exist from the vintage brands we represent. But for this blog entry I am going to break the rules and share a little tidbit of info regarding AMT’s series of funny cars from the mid 1970s. As many of you have seen from Ken’s recent post, we’re working on a reissue of the Larry Fullerton Trojan Horse Mustang II F/C. 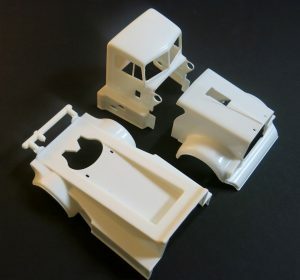 Prior to our upcoming, improved release, the most recent kit available from this tooling was the Chi-Town Hustler Dodge Charger 2+2. In the 1980s, a new body and a few other parts were created by Ertl to produce this, er… well there’s just no other way to say it: rather ugly, odd and bloated-looking rendition of the real car. With regard to this particular series, my immediate thought was “which of the original kits could we do again?” The Mustang II proved a little surprising as the front and rear body cap inserts had gone AWOL at some point in the previous few decades. We’ve remedied that and think the Trojan Horse reissue will be more accurate for it. …in PART 2! See you in a few weeks! 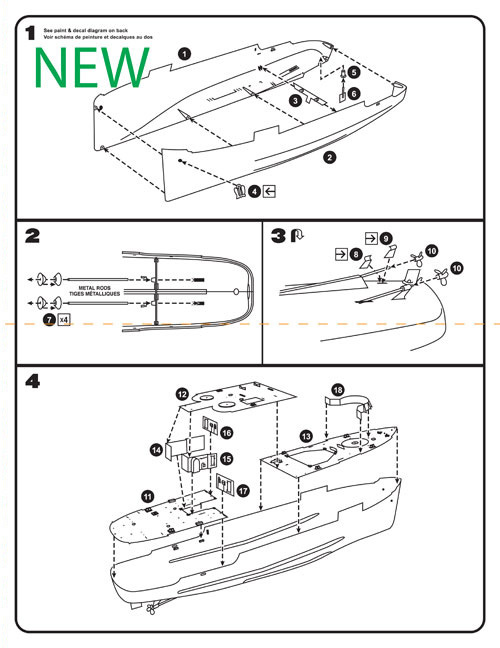 One of the great features in the new Lindberg and Hawk releases are the improved instruction sheets. 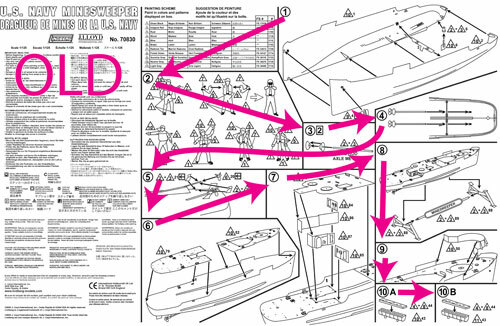 We want modellers to have fun with our kits and the instructions are a large part of that experience. Many of the previous iterations included excessive amounts of text, steps that jumped around the page, and sometimes in sequences that made little sense. 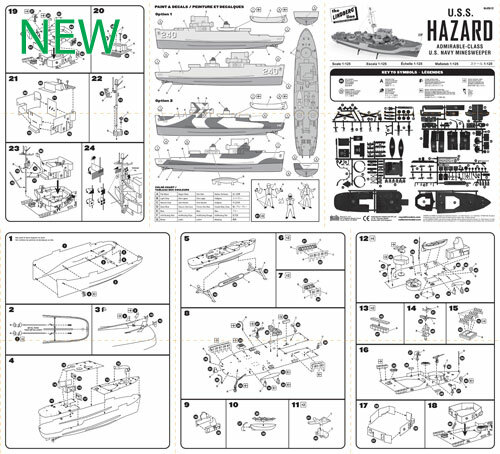 See the old and new version of the HL429 USS Hazard Navy Minesweeper. 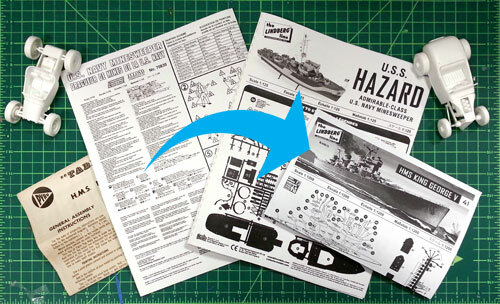 Or in some cases, such as the HL439 Tabletop Navy 2-Pack: HMS King George V & HMS Dorsetshire, the vintage instructions contain errors that have been overlooked for year. 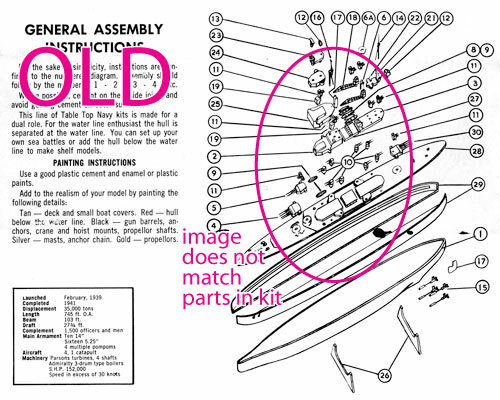 The parts in the kit were different than what was pictured in the original instructions. I have found several instances where tools were modified but the instruction sheet stayed the same. 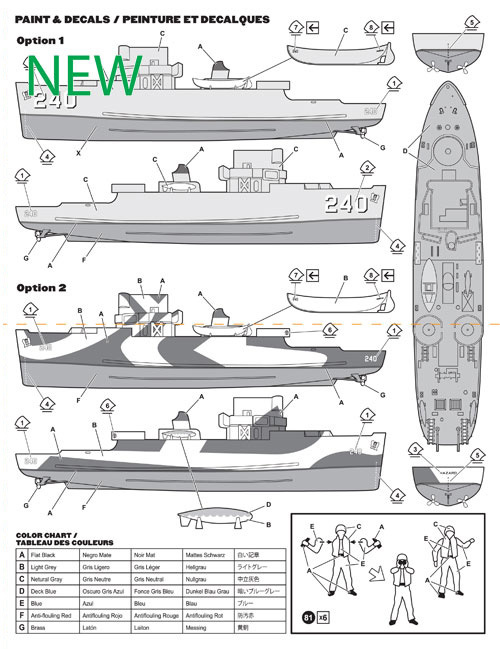 In our new releases you will see instructions with clean line art, steps ordered in a more clear and thoughtful manner, an extended layout allowing for more detailed paint and decal diagrams, and an overall better look. Let us know what you think of the improvements. It’s time for a quick peek at one of our most highly anticipated big rigs of the year. A kit that has not been available in over 35 years! Tyrone Malone’s Super Boss Kenworth Drag Truck. This 1/25 Scale, skill level 3 kit wowed builders back in the 70’s, and it’s back now, in all of it’s red, white and blue glory. And of course, the KATS here at AMT have added a few extra tasty upgrades to make it well worth your while. 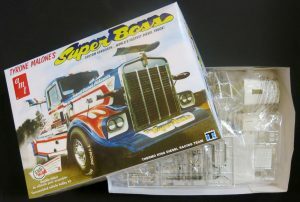 To kick it off, the Super Boss features all of its original, super-detailed Kenworth drag truck tooling, like the Detroit Diesel V-12 engine, tilting hood/fender assembly and spoiler wings. In addition, builders will find 6 – ALL NEW – pad printed racing slicks, retooled from the ground up, to help give your build that extra “something”. 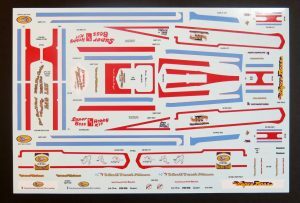 The MASSIVE 8″ x 12″ decal sheet far outpaces the original sheet, which now includes improved graphic details with more accurate striping colors – and allows for optional Thermo King or Bandag deco styling on your build. We’ve also thrown in a bonus 3D mini display box, as well as an EXCLUSIVE photo print that can be framed and proudly displayed on the wall. And all that goodness comes wrapped up in authentic box art to boot! So to all you Super Boss fans out there, keep your eyes peeled for one of the greatest diesel trucks to ever hit the strip! Coming to your local hobby stores soon. Hope you enjoy it, and I’ll see ya soon! AMT’s Trojan Horse Mustang Funny Car Is Back! 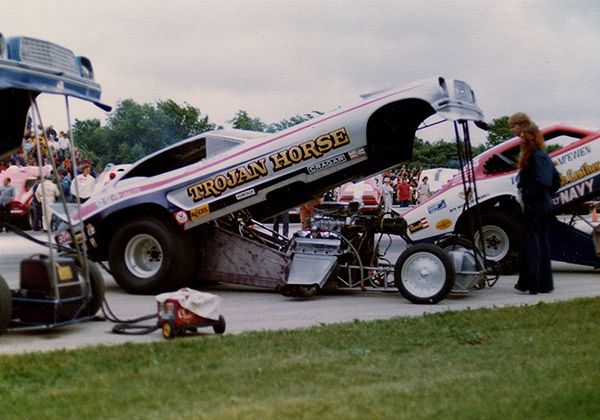 Larry Fullerton’s Trojan Horse funny car was always one of the favorites on the track and his Mustang II FC has been considered one of the most beautiful cars on the strip. When AMT originally issued the kit, the decals failed to capture the fantastic colors and his signature Trojan Horse mural accurately. Additionally, at the time, AMT also supplied the kit with unusually tall front tires that were not proportionally correct. With our Retro Deluxe re-issue coming out later this year, we’re correcting those details by supplying a more accurately-sized set of front tires, plus an all new and expanded decal sheet. 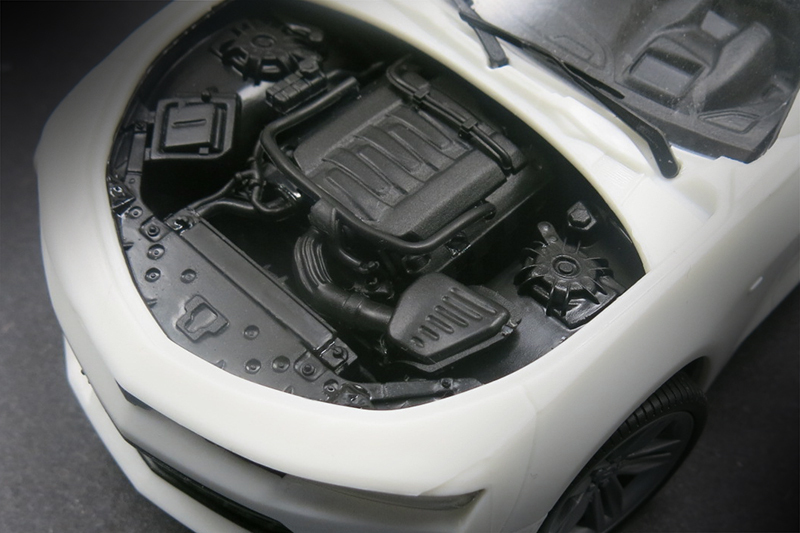 We’ve also re-tooled the front and read body sections, and this time the front headlights are recessed to match the 1:1 car. 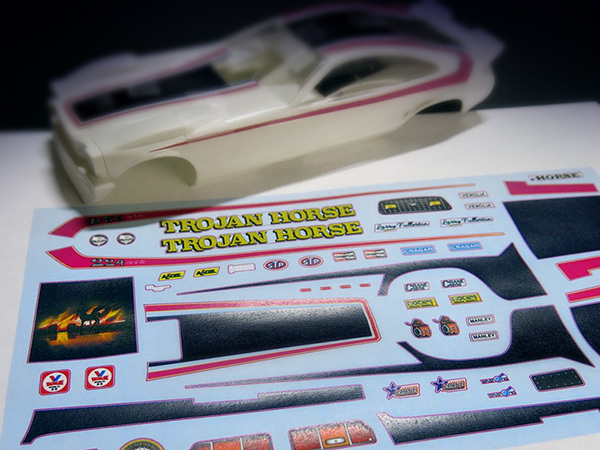 The decals now include the body side paint scheme (although you’ll still need to paint the rear body section to match), detailed front grille and rear taillight decals, additional sponsor marking to duplicate various versions of the car and a much improved trojan horse mural. Below is a printout of the new decal set, along with the kit’s body showing a little test-fitting of some of the body markings.